An automatic garage door system can be incredibly dangerous if it isn't able to properly detect there's an obstacle in its path. Ever since 1993, modern garage door openers started incorporating special safety features that prevent them from closing the door while there's an obstruction in its way. However, if the components that are in charge of these safety features experience a malfunction, then the safety of anyone who uses the system will be compromised. In order to make sure your garage door is safe to use, you should spend some time each month or so to test out these features and ensure that they are working correctly. These are basically two photo-electric eyes that are installed on each side of the garage's opening. They send an invisible beam across the threshold and alert the opener as soon as the beam is interrupted by anything from the size of a cardboard box to a full-blown car. The opener then "knows" that the door's path isn't clear, and will reverse its operation if it's mid closing, or stop it from moving at all if it has yet to start to descend. Testing these sensors is fairly easy. You place something, let's take a cardboard box as an example, between the two sensors, and then use your opener to close the door. If your door does close and hit the object, then something is definitely wrong with the sensors and they need to be examined by a professional. You should contact our team right away. The second safety mechanism that modern openers are required to have is the auto-reverse function. It serves the same purpose the safety sensors do, but in a slightly different way. This feature is meant to reverse the closing action of the door if it encounters even a little resistance. This is meant to keep it from crushing objects that get in its way. You can test this feature by placing a two by four piece of wood right under the door and then order it to close. Your door should hit the board and then immediately reverse. If it keeps trying to crush the two by four, then the mechanism is probably malfunctioning and needs to be checked by one of our experts. Although your door may be able to open and close without an issue while its safety features aren't functioning properly, you should not neglect to have a professional technician (like one of our service members) address this issue as soon as possible. Safety is no laughing matter, and you should take immediate action to ensure that your door is as safe to use as possible. 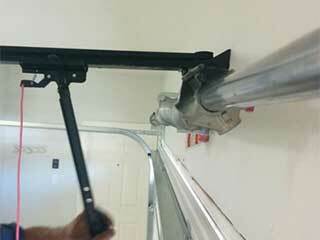 Contact our team at Garage Door Repair Maple Valley for any related need.